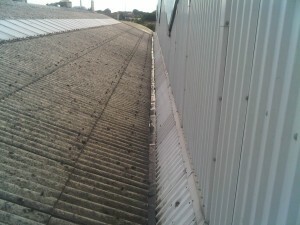 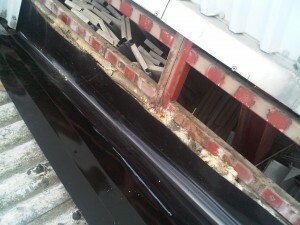 In August 2012, Weatherfix where contacted by Hutchings timber yard in Deal, Kent to provided a roof and gutter survey as there were many leaks over the entire roof causing there stock to become damaged and loss of profits. 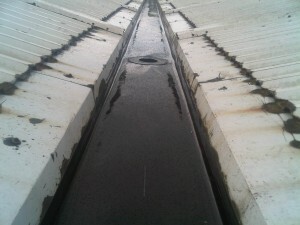 Weatherfix found that the problem was all the industrial valley gutters including a concrete gutter, had rusted through in places and the existing gutter joints had become brittal causing water penetration. 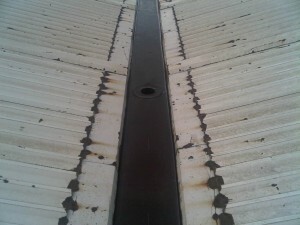 Weatherfix installed the gutterline system in only five days to leave a completely watertight roof and industrial gutter system.